Some good news for those who like Netflix and the original content they provide. Unfortunately, it's bad news for those hoping that the streaming service was going to start moving back to licensing content from other studios. 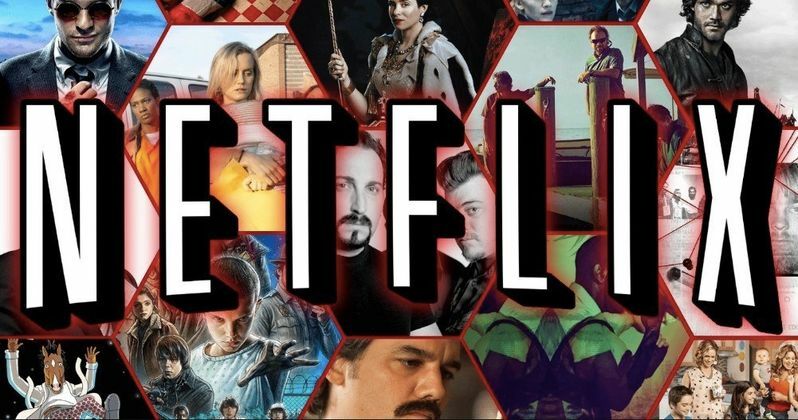 According to a new study conducted by Ampere Analytics, Netflix, as well as other streaming services, are looking to double their output of original content in the coming years. As it stands, Netflix is leading the pack by a very wide margin. Currently, Netflix has 229 original shows and movies, with that number increasing all the time. According to this study, they have more than 250 additional commissions planned. That includes high-profile projects such as Six Underground from director Michael Bay, as well as the recently announced live-action take on Avatar: The Last Airbender, among many, many others. It makes sense that Netflix will outspend every other studio in the business, also by a wide margin, as the company is set to spend around $12 billion this year on original content. Amazon is in a distant second place, but they aren't exactly slacking on the job. The company currently has 105 originals to its name and they have roughly that number of new commissions planned, according to the study. This includes very expensive endeavors, such as the Lord of the Rings TV show, which is said to come with a $1 billion price tag, when all's said and done. There are plenty of other services in the marketplace right now who are trying to get skin in the game. Facebook and Apple are both working on producing their own original content, but while Apple is dipping their toes in virtually every genre, Facebook is taking a more specific approach, choosing to focus on news, documentary and reality programs. Then there's YouTube, who is focusing largely on youth-oriented programming. Richard Cooper, an analyst at Ampere, had this to say. "All the major players have been expanding the number of original commissions in the face of an increasingly competitive market. What's interesting is the different audience profile that each of the [services] appear to be targeting with their originals content, suggesting they're aiming at different niches within the SVOD market."